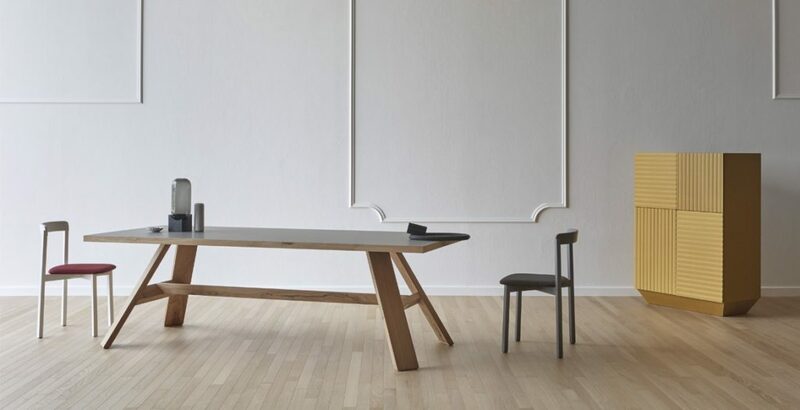 Modern, Elegant or Easy Dining Table? What’s the best style for your beautiful Dining Room? “I would like a modern, elegant or easy dining table that combines traditional wood with the latest innovative materials”. 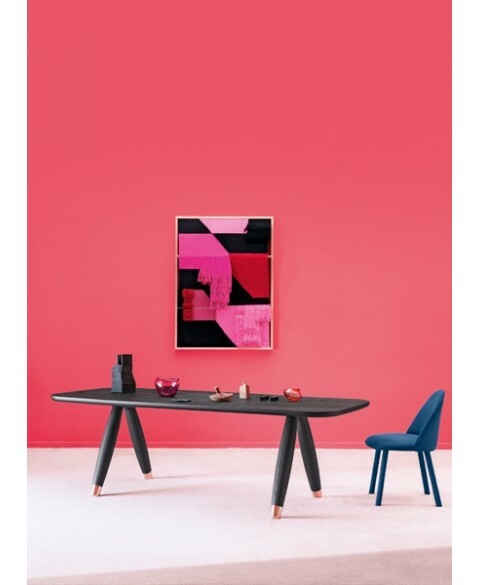 “I would like an easy dining table with essential lines but with remarkable and surprising details at the same time”. Miniforms company, much appreciated by designers and public too, produces furniture with a young and modern style and is famous all over the world especially for its tables. Miniforms tables are characterized by essential and rigorous lines enriched with the use of vibrant colors and finely studied details. Miniforms usually uses traditional wood combining it with totally different and contrasting materials such as metal, glass, ceramic and Fenix, giving life to original furniture, that are able to capture the attention. The following pictures can show it better than words…. Looking at this table you can see the contrast between ceramic and wood. The thin elliptical plane rests on a central base made of slightly curved solid oak wood sticks in order to make the base even stronger and stronger. The appearance is decidedly refined and of great scenic presence. As a demonstration of how the union of these two materials is certainly not obvious, this table proposes the combination of glass and wood but with a totally different result. The solid wood structure seems to recall the stripped branches of the trees that intertwine irregularly, while the top seems to be only resting. 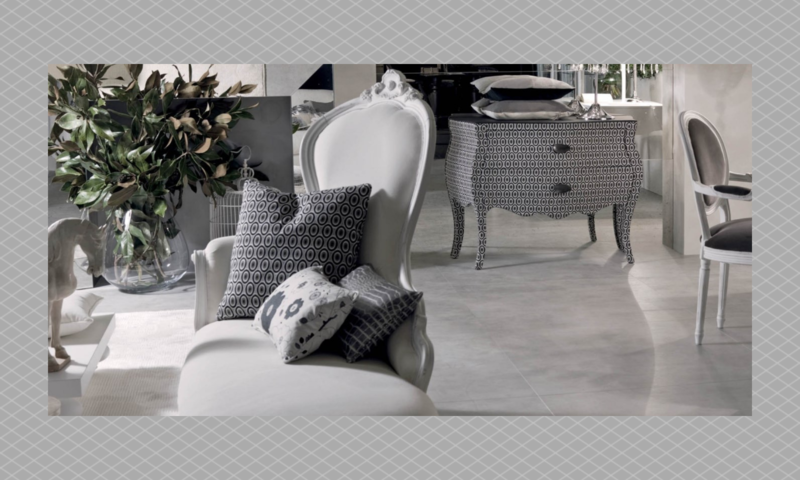 Design is almost reduced to bone, for the benefit of the rigorous formal cleanliness. Basilio is a modern, elegant and easy dining table that, in black ash finishing reveals its dark soul and sensual shapes. The studs on the feet and curvy lines fascinate and provoke. It is an almost surreal table, a project born to be taken to excess. 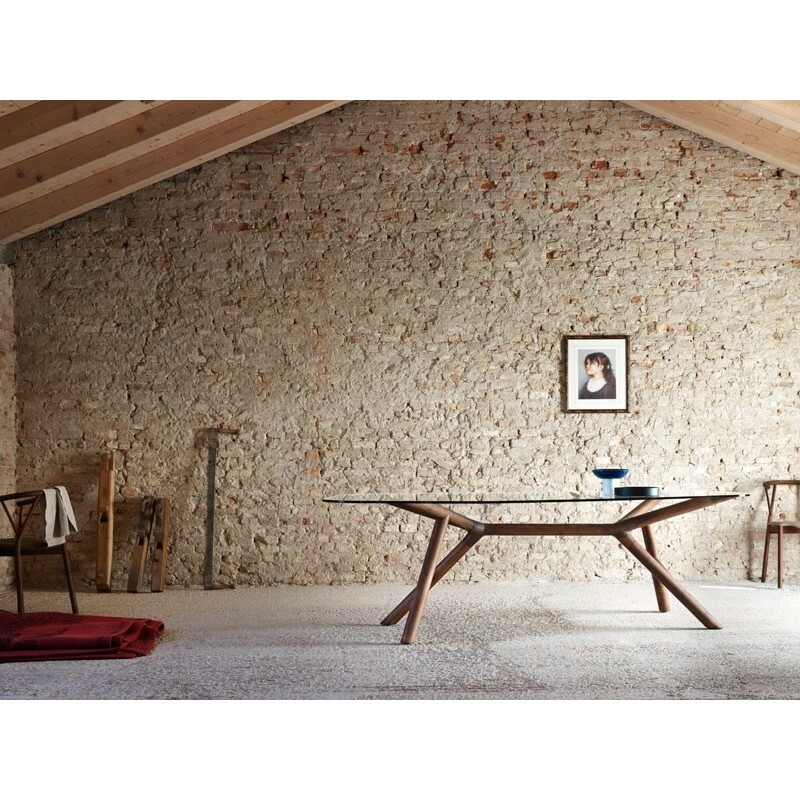 Artigiano is a dining table characterized by a timeless design, only looking at it is synonymous of sturdiness thanks to the oak structure in contrast with the Fenix table top. It is an authentic gemstone!! Tripode expresses elegance par excellence, with its central cruise wooden base and ethereal glass table top, it’s just pure class!! 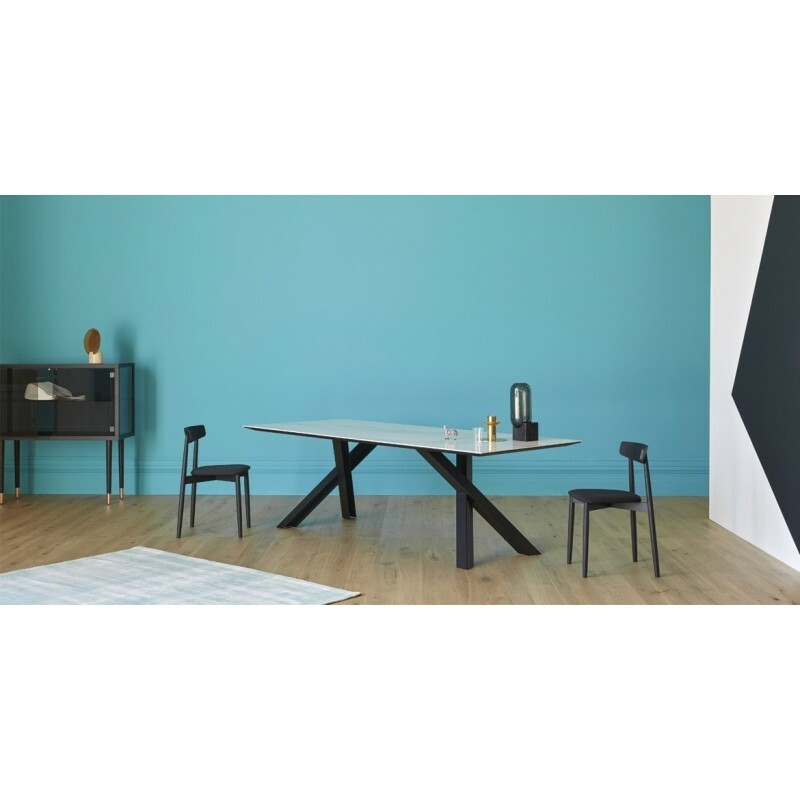 Gustave is an easy and informal dining table available in a multitude of finishes, suitable for all environments from the kitchen to the dining room. Its design is young and smart with a crazy value for money!!!! !